I have recently read a couple of e-books about blogging and among them “299 Steps To Blogging Heaven” by social media expert Nikki Pilkington. The book is a few years old and some of the links no longer work but it is full of great advice for people new to blogging and people like me who want to get more traffic to their blog. I read the book in one sitting, made tons of notes and decided it’s time for a blog makeover. I kept “Graphene” as my theme, because it works well, has a neat slide function and lets me customise the header. However I have changed the layout – so now I have two widget side panels instead of one and I included a neat little widget that links to my jewellery website. 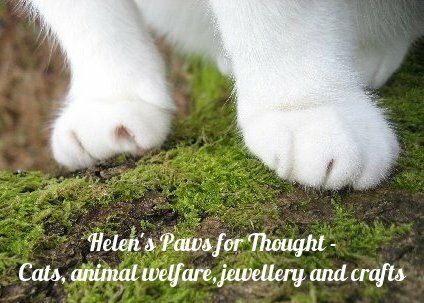 I have changed the header image as the paw image from my old layout was difficult to see. I also decided to leave the background white instead of filling it with image tiles as it looks tidier this way.